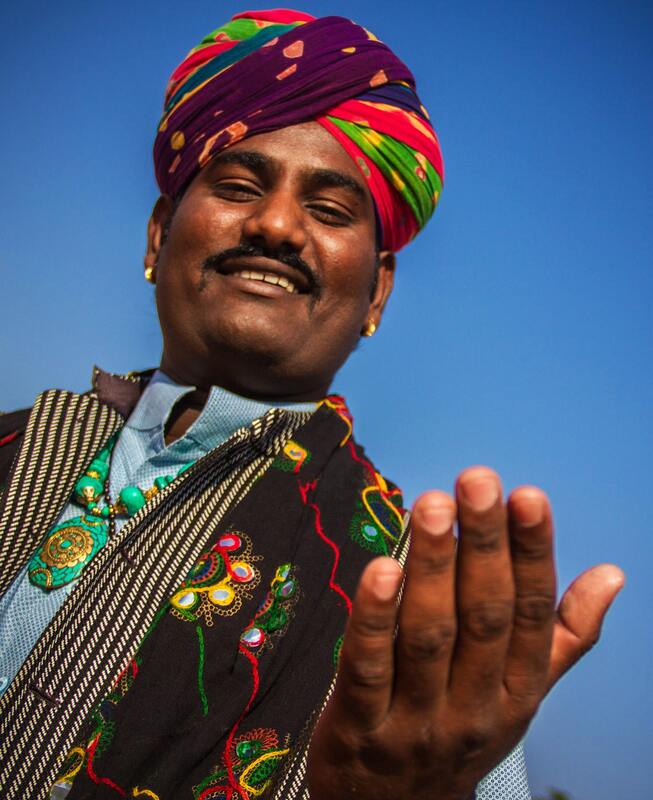 Thanu Khan resides from a small village Barna in Jaisalmer, Rajasthan. 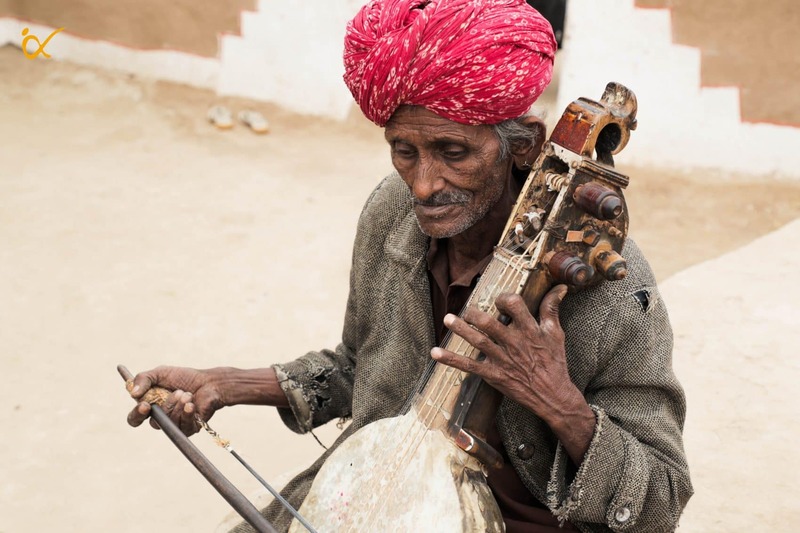 He belongs from the Managaniyar community of the Rajasthan and tells that the new born in their community cries in raag and walks in rhythm as they are God gifted with the understanding of music. At the age of 8 he started learning Morchang. He has performed at various venues on both national and international grounds. He started performing at Gajendra Singh’s The Mama’s Resort and rising from there he has travelled half the world to perform. He is getting various shows currently through various event companies but feel that they are exploited. He feels proud when people take selfies with him and like their traditional wears, as it feels them like stars. Thanu is very fond of technology, one can find him on platforms like Facebook, YouTube, Twitter, Instagram, etc. He actively uses these platforms to connect the wider world. Upon asking, he told us that he wishes to record his song but in a very proper manner unlike on a mobile phone. During the entire documentation process, Thanu was very keen at the recording procedure. He was amazed to see a portable studio which can produce songs just the studios which are at one place. He has shown his interest in learning how to operate a studio and record a song. Thanu wishes to be taught about it and thus he wants to contribute his share to his community by recording songs of his fellow artists there. He wants that every artist should once in a lifetime get the feel of recording at a studio, as for him its inexpressible! Roop Khan and Swaroop Khan are singer duo brothers who hail from Satto village of Jaisalmer, Rajasthan. The group together when sings, create a mesmerizing atmosphere amongst the audience and leave them to spellbind after their performances. The seasoned artists in the group are responsible for the teaching and guidance of the younger artists present in the group. 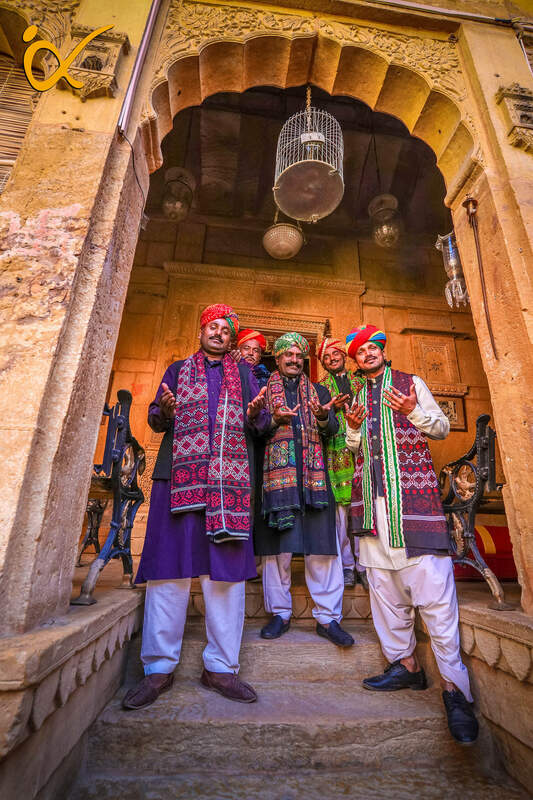 They sing mostly authentic original songs from their traditional heritage which has been passed on from their forefathers to them which each generation. They want to make a platform for all their community members where they can be treated equally with respect. Roop and Swaroop wish to set an example in their community by achieving something in life and also keeping the balance between both their studies and music. Roop and Swaroop were always fascinated towards the songs they used to listen on their phones or television. They heard their recorded voice for the first time after Anahad’s documentation of their song. They first shied away as they couldn’t believe that it was their voice. But they definitely felt confident over their voice textures and looked more determined. For them it was an experience that acted as a turning point, they had never imagined that their voice would sound so amazing after the recording. 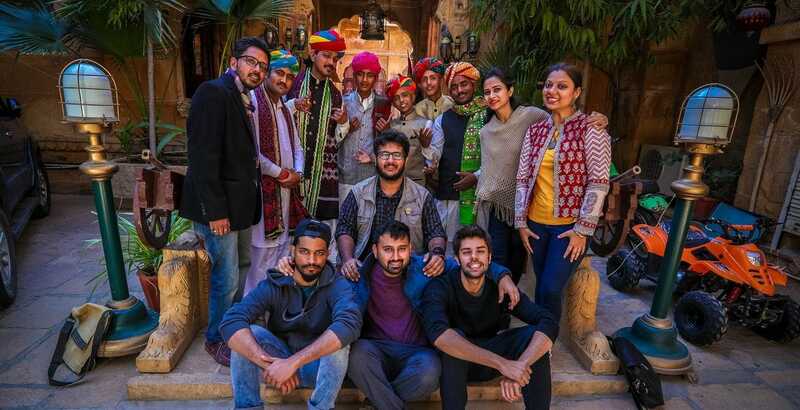 They felt assured that after the completion of their studies they would go ahead with music as their full-time career and represent Rajasthan all over the world. can reach out more number of audience as he believes that folk music has the quality of touching the soul of the audience. from famous YouTube celebrity like – Drishyam Play, which on today’s date has 1.3+ million views. Gazi always had a dream to travel abroad and showcase his talent. Gazi Khan gives full freedom to their children to pursue music as a career, but still encourages them to get a basic education. He himself is illiterate but still considers education as the utmost necessity of the today’s generation. 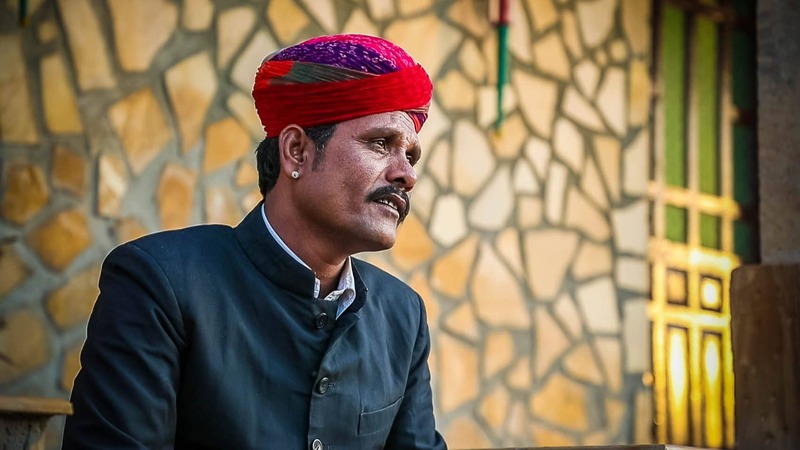 He feels that the Rajasthani folk music need a better platform from where it can reach out more number of audience as he believes that folk music has the quality of touching the soul of the audience. Gazi has been performing ever since he was a child, but every performance he did was through some manager or any other agent. He always depended on the third person for the shows. Gazi has quite an interest in recording his songs. He wishes to launch his music album one day. He now wants to develop a community studio in his village Barna so that the artists can record their songs over their without any trouble and paying hefty amount of money. Talab Khan is a soulful singer. He is 38 years old and has been singing since he was just 7 years of age. He belongs from the Manganiyar community of Jaisalmer, Rajasthan. He has learned singing just by hearing his father and elder brother. He is fondly known in his region for singing authentic folk songs which is not known to many, even amongst his own community. For the first time he performed in the 1990 and ever since he has been glued to various stages on both national and international grounds. His performances are so amazing that year after he has been called by various foundations in places like Paris, London, Portugal, the USA, etc. to give performances. Even after being on called for so many international performances, Talab never stops to being humble. He is a modest person who strongly believes in hard work, sincerity and discipline in his field. For him his music is the source of life to him and also a source of living for his family. Music is the only way through which he has being able to raise a family of 7 and believes that it is an utmost blessing of God. Talab wants to make his children imbibe everything he knows about his, everything he learnt from his forefathers. He strongly believes that unless the children are not going to learn this tradition, we are going to lose the essence of the folk cultural heritage. He has already started the teaching with children around his house in his village. Rekha is a multi-talented artist. She is a stunning dancer and marvel Rekha is multi – talented artist. She is a stunning dancer and marvellous singer. She gets this talent from his her banjaara tribe which highly promotes creativity and talent from a very young age itself. She is the only female singer i the group. She apart from dancing and singing trains other banjaara girls who want to follow their dream of dancing and singing in future. lous singer. Personally, She likes singing more than dancing, even though she is an expert in doing beautiful Kaalbelia and Terahtaali. She always wanted to get recognised as a singer. She gets this talent from his her banjara tribe which highly promotes creativity and talent from a very young age itself. She is the only female singer in the group. Rekha is 25 and married to a man in Jodhpur but during the season time, she makes sure that she joins her group and follow her passion. She had options in her life to quit and lead a life as a housewife but her passion and love for dance and music never let that happen and she continues this with pride. 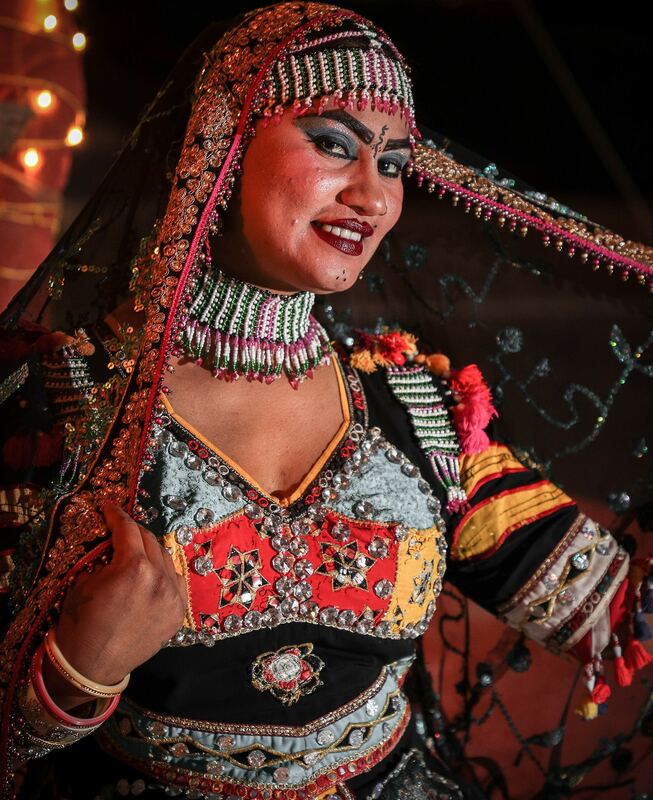 She apart from dancing and singing trains other banjara girls who want to follow their dream of dancing and singing in future. Rekha not only gained recognition in her society but also her songs were appreciated by them. The young girls look up to her and wish to be recognised as her. Parents in her community want her to teach their daughters also. Kasam’s voice has a powerful impact on the audience listening to him. He plays at all the happy and auspicious occasions in his village and villages around. He is son of the famous renown international folk singer “Ustad Nizzamuddin Langha”. His music evokes the right mood with songs of the desert and many specially composed songs to praise the patron and his family. He belongs to the Langha community and started learning music at the age of 10 from my father, Ustad Nizzamuddin Langha. Kasam Khan and his group is an amalgamation of young enthusiastic musicians and a leader who leads them throughout all the musical convoys. The group when sits together and perform they create a happy place for the people listening to them. The group has all the young members who are passionate about playing for public. All the members strongly believe that it’s their responsibility to carry forward their tradition of folk music and pass it on to the next generation. He believes that music is the purest form of connection between oneself and the Almighty. Along with performing with his troupe, he also teaches at a community school for skill development. For him it is his duty to teach the next generation what he knows about music and life. He has also trained his two daughters in music. After the documentation his music has become more accessible now. They hope to travel the whole world and spread the message of peace and love through their music.